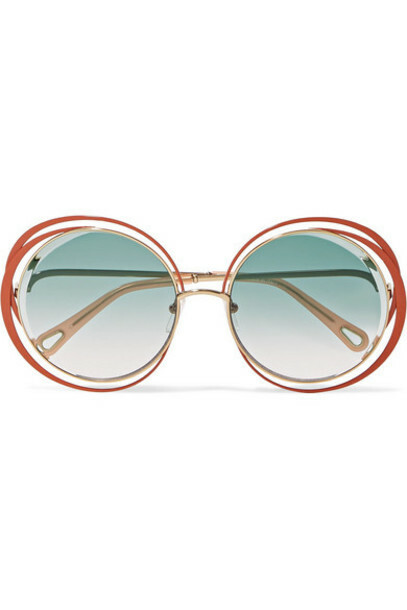 Chloé's sunglasses are a perfect example of Natacha Ramsay-Levi's 'new bohemian' style - they have '70s-inspired round frames that overlap slightly and are fitted with retro gradient lenses. The gold-tone metal is painted a brick hue and contrasted by marbled pink acetate tips, which have space to thread a chain through. Keep the oversized shape in focus by wearing simple earrings.